Advanced Materials has been identified as one of the “Eight Great Technologies” by the UK Government, which will propel the country to future growth. We carry out research into advanced materials and sustainability, encompassing electronic and functional materials and surface engineering, including the development of new materials, thin films and coating processes. The work has a strong focus on nanomaterials and nanotechnology. 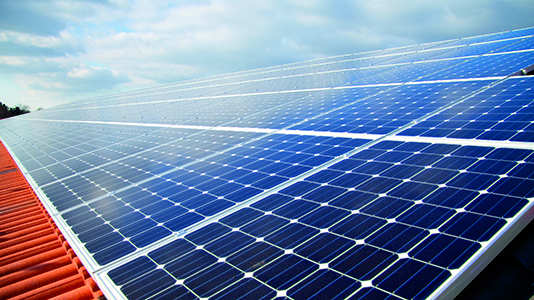 Areas of interest include photovoltaics (PV) for renewable energy generation, where we are investigating novel thin film routes, processes and device structures, to reduce the cost and improve the performance of solar cells, with a focus on crystalline silicon and earth-abundant kesterites. Other areas of our research include: two-dimensional materials such as graphene for energy related and biomedical applications, functional oxides for solid state cooling and photoelectrochemical cells, condensed matter theory, soft magnetic materials, vacuum insulated glazing for buildings, new types of surface engineered functional surfaces for enhancing engineering performance, energy efficiency and environmental compatibility, and advanced composite materials for additive manufacturing processes. Building on the success of our members in surface coating research, the LSBU/The Welding Institute Advanced Resins and Coatings Technologies Innovation Centre (ARCTIC) was recently established in Cambridge. ARCTIC conducts applied research into coatings, nanomaterials and hybrid resins. Our members have a strong track record of receiving external funding from the European Union, the Engineering and Physical Sciences Research Council, Government bodies such as InnovateUK and industry.